unity | "Just Pray NO!" Ltd.
Jesus said in Matthew 18:20, “For where two or three are gathered together in My name, I am there in the midst of them.” Why is it when “two or three” are gathered to pray and not just “one” person alone? Because there is power in unity! Jesus said in Matthew 18:19, “Again I say to you that if two of you agree on earth concerning anything that they ask, it will be done for them by My Father in heaven.” God the Father said in the Torah although, one can chase a thousand, two can put ten thousand to flight. (Deuteronomy 32:30a). Simply put, there is more power in unified and combined faith than there is in solitary faith because “in unity” the power of God is multiplied exponentially. Let’s look at what God said at the Tower of Babel in Genesis 11:5 – But the LORD came down to see the city and the tower which the sons of men had built. And the LORD said, “Indeed the people are one and they all have one language, and this is what they begin to do; now nothing that they propose to do will be withheld from them. Watchman Nee wrote a book entitled, “The Latent Power of the Soul.” In it he states that man has a power in his soul (given by God at the time of Adam), enabling him to subdue the earth and all on it! It’s not physical might that enables mankind to rule over every creature as some creatures are mightier than man. Nee also asserts that mankind does not exercise this godly use of “soul power” today. On the other hand, Satan and his demonic forces manipulate mankind into utilizing their soul power for evil purposes. In Revelation chapter 18 which concerns the “Fall of Babylon,” verse 13 lists the “souls of men” among the merchandise traded in Babylon. I believe that this soul power of mankind can be used for God’s purposes when we are led by the Spirit of God and come to understand how our soul power works in conjunction with the divine power of the Holy Spirit. An important biblical principle that we need to understand is the power unleashed in unity. It was whenever the people of God were in “one accord” that we see the mighty movement of God recorded throughout the Bible. From the time of Moses, the Israelites were victorious through the power of God whenever they were all in one accord and purpose, and were aligned with the will of God. But whenever divisions came between them and they no longer stood in one accord in accordance to God’s will, defeat overcame them. 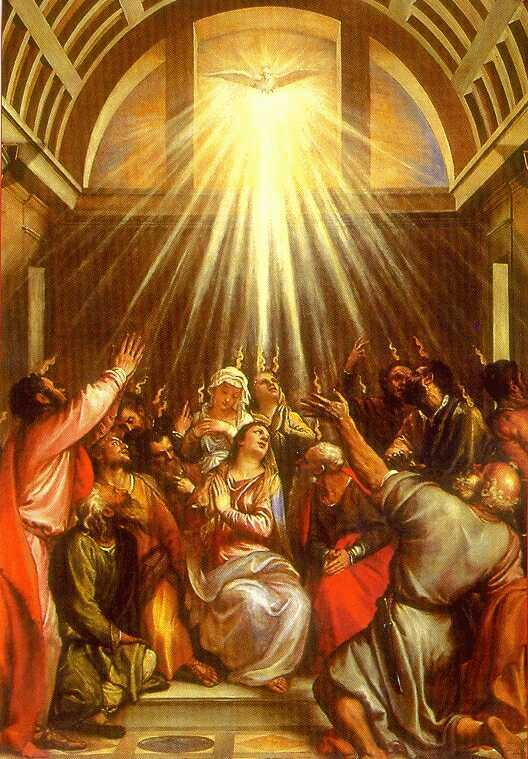 In Acts 2:1 we see the disciples were all in “one accord,” when on the day of Pentecost, they were baptized in the Holy Spirit with power. In Acts 2:46 we see the believers in “one accord” and the Lord added to the church daily those who were being saved. In Acts 4:24-31 all the companions of Peter and John were in “one accord” when they prayed to the Lord for boldness to speak His word with signs and wonders and they were filled with the Holy Spirit. In Acts 5:12 the believers were in “one accord” and through the hands of the apostles many signs and wonders were done among the people. Jesus said in Matthew 5:14a, “You are the light of the world.” Think of that light as single flashlight illuminating an object in the darkness. Then consider how much more illuminated that object would be with many flashlights shining on it at the same time. That is the essence of unity and being in one accord. King Solomon wrote in Ecclesiastes 4:9 – Two are better than one, because they have a good reward for their labor. Strength, whether physical or spiritual, is multiplied by numbers. When Jesus prayed to the Father in John 17:21, He summed it all up when He said, that they all may be one, as You, Father, are in Me, and I in You; that they also may be one in Us, that the world may believe that You sent Me. Jesus was praying that all of His followers (later called Christians), would be united in spirit and purpose and be in “one accord,” just like Jesus and the Father. This unity would both serve as a witness to the world and assure that believers would be one in the Father and the Son as well. Therefore if there is any consolation in Christ, if any comfort of love, if any fellowship of the Spirit, if any affection and mercy, fulfill my joy by being like-minded, having the same love, being of one accord, of one mind. Let nothing be done through selfish ambition or conceit, but in lowliness of mind let each esteem others better than himself. Let each of you look out not only for his own interests, but also for the interests of others. Let this mind be in you which was also in Christ Jesus. When we follow the example of Christ and believers are like-minded, serving one another in humility, there is great power that will be unleashed in our unity.